After buying 100 Atlantean service buses in 1959-60 Ribble caused a surprise by reverting to PD3s. These had full fronted Met-Cam bodies which echoed the earlier Burlingham examples. A batch of 50 in 1961 was followed by 45 in 1962, and 36 in 1963. 1775 was one of the 1962 batch. Initially allocated to Chorley 1775 moved to Fleetwood in 1968. These PD3s were particularly associated with city services in Liverpool and Carlisle and 1775 duly migrated to Bootle depot in 1973. Withdrawn in 1981 and sold to dealer PVS of Barnsley it was then acquired for preservation by the Mersey & Calder Group. It was later sold to Gerald Boden for continued preservation. It was then acquired for the RVPT collection in 2010 and has been a regular performer for the group since then. Unlike the Burlingham PD3s the Met-Cam buses were equipped with pneumocyclic gearboxes but when Gerald refurbished it a synchromesh gearbox was substituted. 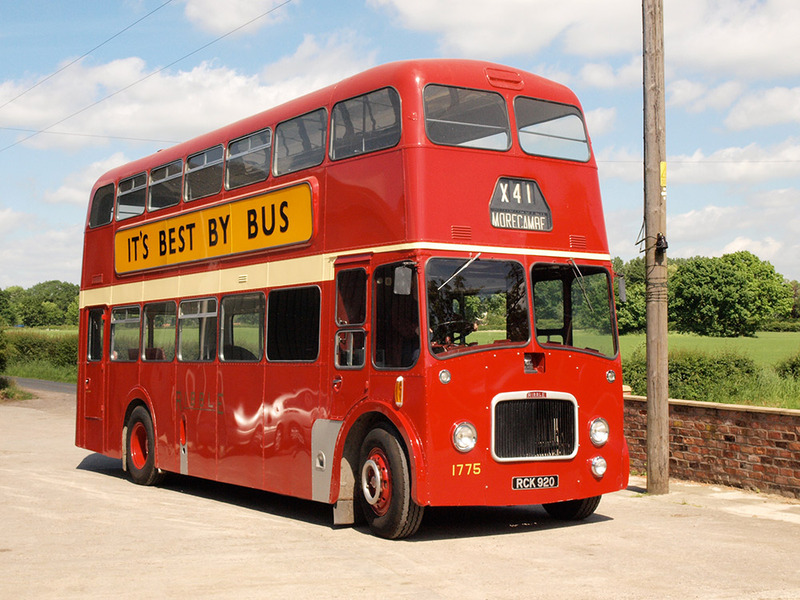 Shortly after joining RVPT the original gearbox was overhauled and refitted returning the bus to its original configuration.